The national remit of the NTA requires a system of regional models to help it deliver on its planning and appraisal needs. 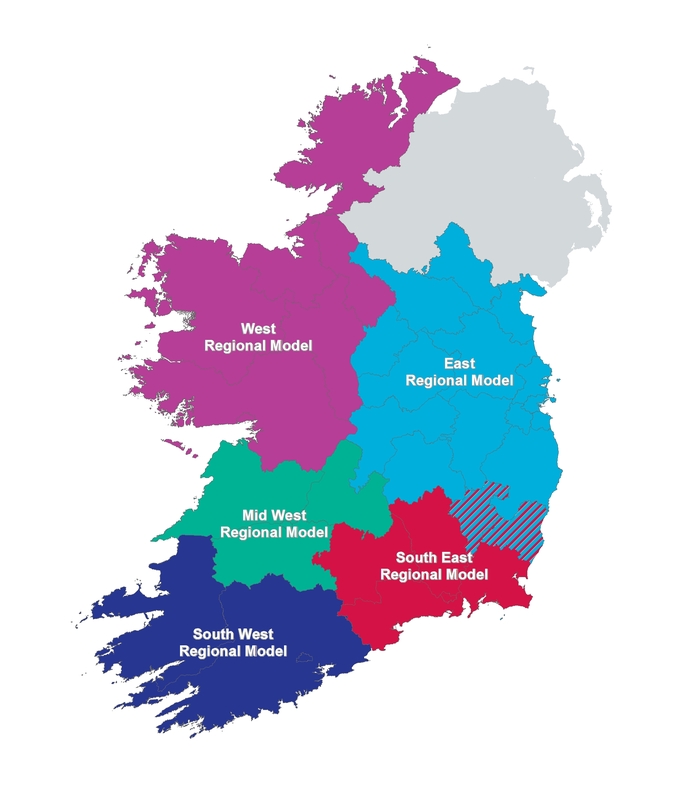 The NTA Regional Modelling System comprises five regional transport models covering the Republic of Ireland and centred on the five main cities of Dublin, Cork, Galway, Limerick, and Waterford. A prediction of changes in trip destination in response to changing traffic conditions, transport provision and/or policy. For further details on each of the models please see the map below.